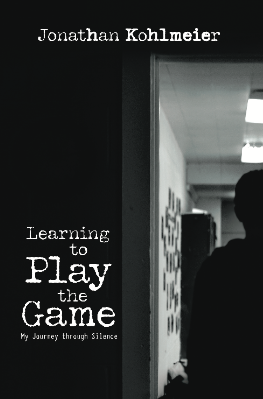 Babson College Junior Jonathan Kohlmeier has authored Learning to Play the Game: My Journey Through Silence, a coming-of-age memoir of his young life living with selective mutism – an extreme form of social anxiety. At first, as a child being so afraid that he could barely speak outside of the home, Jon’s story of struggle turns triumph as he is eventually able to join the debate team in high school. From the start of his journey in kindergarten to his high school graduation, Jon chronicles his desire to be “normal”—whatever that means. But even more, he shares his desire to simply be himself. What started out as a Senior WISE Project at Rockland Country Day School in Congers, NY, has become a memoir that can educate others about this disorder as well as offer insight into the larger world of mental health. FROM THE START OF HIS EXPERIENCE IN KINDERGARTEN TO HIS RCDS GRADUATION, KOHLMEIER CHRONICLES HIS DESIRE TO BE “NORMAL” – WHATEVER THAT MEANS. Kohlmeier says he hopes that this book can offer guidance and support to any child who is experiencing any form of social anxiety.